The Kenyan tourism industry, including private and public sectors, combined forces to create a package of benefits to help boost tourism to Kenya in the wake of recent terror strikes and a travel warning by the U.S. State Department on May 17. The measures seemed designed to counter bad publicity and travel warnings generated by recent incidents and threats. But in spite of travel warnings and negative news reports, the Kenya tourism industry just keeps on going, as if nothing has changed. And in fact, when you get out to the game reserves and start your safari, nothing has changed. The animals are still there as magnificent as ever. And the Great Migration is about to get into full swing in Kenya. The tourism-boosting measures include the following. Starting June 20 the top game reserves will lower their entrance rates from $90 to $80. Landing fees at Mombasa's Moi International Airport and the Malindi Airport have been reduced, effective immediately. The Kenyan government allocated funds for expansion of the Malindi Airport to allow for larger commercial flights to land, expanding flight accessibility along Kenya's coast. Beginning on May 29 Kenya-based travel agents' air ticketing services will be exempt from the 2013 VAT Tax. Although Kenya has clearly gotten damaging publicity from several recent events and threats, the Kenya Tourism Board told Travel Pulse it does not have evidence of any effect on U.S. tourism to the region yet. The most recent numbers the Kenya Tourist Board has for tourism arrivals are from the period through the end of February, and at that time U.S. arrivals were up from the previous year, according to Alyson Marks, a spokesperson for Kenya Tourism US. But according to Marks, none of the tourism destinations have been mentioned in the warnings and there is no evidence that there is any danger at the places where Americans actually go when they visit Kenya. Nairobi is usually just a stopover for Americans who travel to Kenya on safari on their way to game reserves such as the Masai Mara and Amboseli National Park. Mombasa is a tourist destination for Britons, but is virtually off the tourist map for Americans. In fact Kenya has been under U.S. travel advisories for so much of the time over the last 15 years, it has become a status quo and seems to have lost its impact. Kenya has had record tourist years while under U.S. travel advisories. Abercrombie & Kent, which started in Kenya and still has a major headquarters there, issued a statement to travel agents in response to their concerns. “Travel agents have expressed concerns recent press reports about a bombing at a second-hand market in the eastern part of Nairobi, an area not frequented by tourists. One suspect has been arrested. “We are operating all journeys to Kenya as planned. The safety and security of our guests remains our primary concern. A&K has a strong ‘on-the-ground’ presence in Kenya with experienced staff on call 24/7. We travel in small groups in well-maintained vehicles, in communication with other drivers, A&K’s local offices and the Kenya Wildlife Service. There is also a heightened security preserve in the national parks and game reserves to help prevent poaching. “Last year 115,636 Americans visited Kenya. The U.S. Embassy in Nairobi has no restrictions on employee travel to Kenya's most popular tourist destinations, including the Masai Mara, Amboseli, Lake Nakuru, Tsavo, Lamu Island, Hell's Gate, Samburu, Mount Kenya, and Malindi. Ashish Sanghrajka, president of Big Five Tours, told Travel Pulse, "The key to understand here is that this is a global conflict on terrorism not just a Kenya fight. This threat exists on our home soil. However nearly 60 percent of Kenya’s economy is sourced from tourism. Who are we punishing by abandoning tourism there? "In terms of our guests, we are simply telling them the truth and letting them read the entire travel warning, then pointing out the part that specifically points out: There are no restrictions on U.S. embassy employee travel to Kenya's most popular tourist destinations such as Masai Mara, Amboseli, Lake Nakuru, Tsavo, Lamu Island, Hell's Gate, Samburu, Mount Kenya, and Malindi. "So far our guests that are booked are still going," Sanghrajka said. "The impact on bookings will be seen in the coming months but we are confident our approach to safaris working with the community based conservancies will help keep our tourism numbers growing. In the last two years our growth has outpaced that of the KTB numbers and we expect that trend to continue." Bob Drumm, president of Alexander and Roberts (formerly General Tours), said his company's tours are proceeding. "Although we are watching events closely, we are operating normally in Kenya at the moment. Safari-takers are evidently a stalwart group and we have had no cancellations. In fact, advance bookings are quite strong," Drumm said. "Since Kenya has had a Travel Warning in place for quite a long while, and updated regularly, perhaps travelers are not as focused as they might be when one arises suddenly in a previously quiet destination." Laudie Hanou, vice president of tours for SITA World Travel, told Travel Pulse, "As a USTOA Active member, it is important that we place the highest priority in safety for our passengers. Due diligence regarding safety and comfort in every destination is critical. "Security has been increased across the board in Kenya and has been since last fall. In reference to the American traveler, we are not seeing cancellations," Hanou said. "And as a good operator should, we answer any and all questions regarding the safety of a destination with our clients in great detail. This places both the Travel Agent and traveler at greater ease. "There are issues that are on going in the neighboring areas outside Kenya, however, none of the national parks have been affected, no incidents to disrupt the beauty of a Kenyan safari within the African bush. And due this, we continue to offer this destination, with absolutely no hesitation." 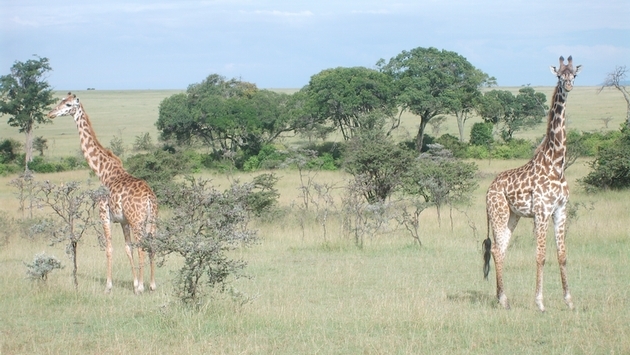 G Adventures is also continuing its Kenya safaris. According to Melissa McKee, G Adventures' U.S. marketing and PR specialist for the U.S., "Our tours do not pass through the areas affected by the bombings on our safaris. There have been very few calls this week to cancel or even make inquiries about Kenya trips. "Safety of our travellers is our top priority. We are maintaining constant communication with our CEOs and local office in Nairobi to monitor the situation as it develops. If we perceive there to be any real risk to our travelers from any of the locations we visit on tour, we will adjust itineraries accordingly and take immediate action to ensure our travelers are not in harm's way."